IF YOUR image of Wales is of a country scarred by coal mines and heavy industry then it is time for you to think again. The mining industry is long gone and the principality has had to reinvent itself. It was always a country of great natural beauty - head out of the towns and cities and within minutes you will be surrounded by rolling countryside, lakes and mountains. Despite its mining heritage, it is a beautiful, largely unspoilt country. Rugby union remains the most popular sport and the Welsh national team consistently outperform their English rivals, both in World Cups, against southern hemisphere opposition and in the Six Nations Championship. It is also a country that is rightly proud of its musical heritage - we defy anybody to listen to a passionate rendition of the Welsh national anthem and not feel the hairs on the back of their neck stand on end. With the demise of coal mining, there has been serious investment in cities such as Swansea and Cardiff, and the Welsh Tourist Board has worked hard to promote the country as a holiday destination. If the great outdoors is your thing, then Wales is difficult to beat - picture-postcard towns run all along the coast, from north to south. And you can always be sure of a warm welcome. The Welsh language is alive and well, especially in the north, where traffic signs are in English and Welsh, and local cuisine is designed to warm the cockles of your heart. There is nothing to beat tender Welsh lamb. With so much of the country being coastline, there are many terrific Welsh links golf courses, but you will also discover many hidden gems inland. Forget what you have heard about the weather - yes, it rains in Wales, but no more than anywhere else in the British Isles. It is said that they spread the rumour about wet weather because they wanted to keep the golf courses to themselves - sorry, but the secret is out. 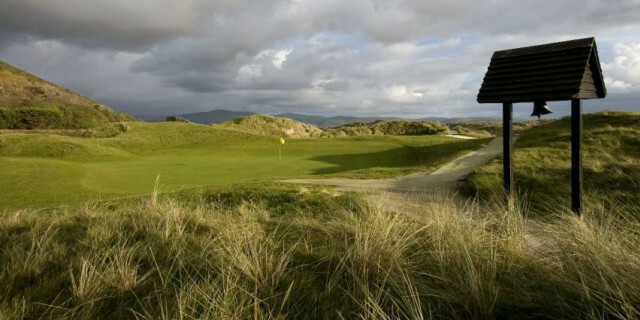 Here, we look at 10 (well, 11) must play golf courses in Wales. There are many to choose from! Lots of golf courses lay claim to being “the best in Wales”, and we believe that this one is, as well as being great value for money. 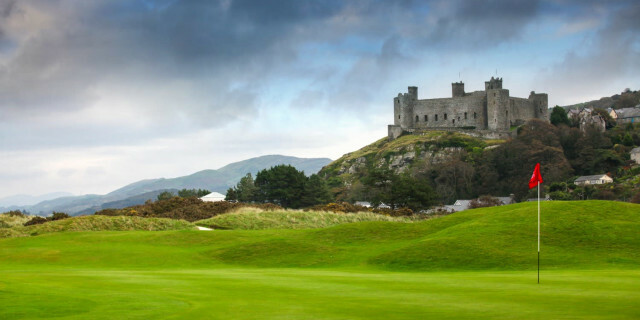 Royal St David's is located in Harlech, is steeped in history and surrounded by mountain views,with bracing sea breezes. It may only be a par 69, but it measures a daunting 6,629 yards from the championship tees. It features a series of long and testing par fours and five par threes. The course is noted for its large, undulating greens, which means that you have to put your approach shots in the right place. The first hole is a 440-yard par four. Any drive going right will find a bunker, and the green is protected on either side by further traps. The fifth, at 397 yards, features a drive from an elevated tee and if you can carry the grass cross bunkers on the right it will open up the green. From there you must avoid the pot bunker to the right of the green. The 14th is a tough par three that measures 221 yards. It's a blind tee shot to a green set amid the sand dunes. Miss the green and there is trouble on all sides. The 17th is a 431-yard par four. A dogleg, with out of bounds on the right, means accuracy is a must. Deep pot bunkers guard the middle of the dogleg and a good drive is necessary to reach the undulating fairway. The cross bunker in front of the green is to be avoided. Beyond the green is a high bank, with bunkers to the left and right of the putting surface. The 18th is yet another testing par three, this time measuring just over 200 yards. There are dunes on the left, a high bank at the back of the green and bunkers left and right. Good luck with all of that! 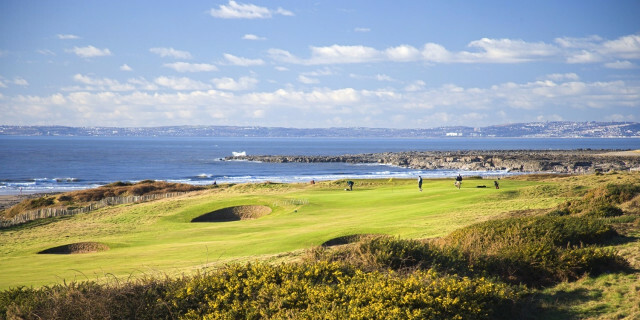 Royal Porthcawl overlooks the Bristol Channel on the Glamorgan coast between Cardiff and Swansea. It has hosted the Amateur Championship, Walker Cup, Curtis Cup, European Team Championship, home internationals and a number of professional events, including the Dunlop Masters. 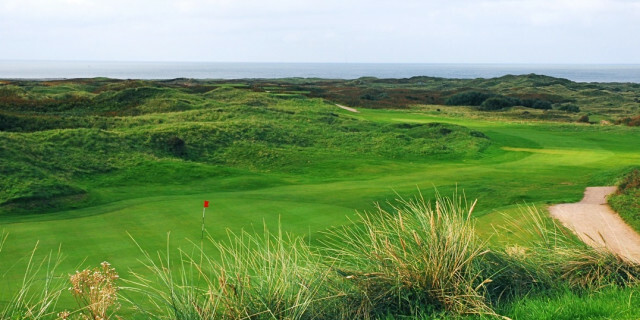 It is not a typical links course – there are no dunes, so you get great views of the sea on every hole. The 18 holes point in all directions, so the wind is a major factor. It features one of the toughest finishing stretches in Europe, starting at the 15th, a 466-yard par four. There is an elevated tee, with bunkers left, right and in the middle of the fairway and, the drive is usually hit into the wind. The green sits on a ridge and requires a second shot played with pinpoint accuracy. The 16th is a 430-yard par four, and again, accuracy is the key. A series of cross bunkers come into play at 260 yards and a huge bunker guards the right side of the putting surface. The 17th is a relatively straightforward, 502-yard par five. The real difficulty comes with the drive, which is blind. The fairway is narrow, the rough is thick and there are gorse bushes to be avoided. If you keep it on the straight and narrow and can avoid the bunkers protecting the green, you have a decent birdie chance. The final hole is a cracker, a par four that measures 459 yards and runs close to the sea. Bunkers and some serious humps and hollows define it as one of the best finishing holes in Wales, with a long approach played to a rolling green that slopes from front to back. Southerndown opened in 1905 and has a real links feel. Unlike many seaside courses, there are plenty of trees, which offer some respite and shelter on cold winter days. The course is beautiful, offering some stunning views. The first hole is a gentle opener, a par four of 367 yards with a generous fairway. Everything slopes from left to right, so you don't want to be slicing your drive. The seventh is a cracking par three, measuring 218 yards. With the wind in your face, it is a beast. It is played to a green that slopes from front to back. The 12th is a dogleg that measures just 397 yards. It looks pretty straightforward from the tee, but the wind is the real issue. There is thick gorse on both sides of the fairway and the wind normally blows across the dogleg, adding to the degree of difficulty. The green is huge – so big that club selection can vary by three clubs at least depending on where the flag is. The 15th is a downhill par four. It is only 365 yards and the wind is usually behind. The drive is played to a fairly wide fairway, but if you miss it, you will be in the gorse. You should be hitting a short iron to a small, well-protected green with a bank at the rear. You will love the 17th hole, a 414-yard par four that requires some thought. 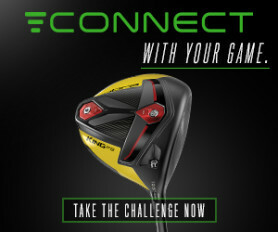 You run out of fairway after 260 yards, so a three wood is the ideal club from the tee. You need to hit your approach towards the right side of the green or else the ball will kick off to the left, where two bunkers lie in wait. The 18th is the signature hole at Southerndown, featuring a split level fairway with trouble on both sides. The green, which sits in front of the clubhouse, is another large one, and is protected by three deep bunkers. Ashburnham has been voted the sixth-best course in Wales, but we think it is slightly better than that. It celebrated its centenary in 1995 and has hosted the home internationals and a number of top professional tournaments, including the Martini International (won by Sam Torrance in 1976) and the PGA championship (won by Bernard Gallacher in 1969). Ashburnham is a true links course, with the exception of the first, second, 16th, 17th and 18th. Sand dunes overlook and frame many holes and several doglegs require the golfer to know exactly where he is going. If you are playing here for the first time, a Stroke Saver is a must. The best hole on the front nine is the 199-yard sixth, which is a potential card wrecker. You must play a well-struck shot to a green that is slightly raised, surrounded by punishing rough and guarded by two proper bunkers. The eighth is a 542-yard par five that doglegs to the right – only the very longest hitters would consider going for the green in two. The ideal drive is hit to the left of the fairway, followed by an iron to the corner of a mound and a short iron to a two-tier green. The 14th is a memorable par five, measuring 553 yards. The drive is a blind one to a hole that effectively features two fairways – the first one narrows to two mounds and gorse. The second shot is played over the mounds towards a distant marker and eventually you will find the green in a hollow, surrounded by all sorts of rubbish. The 18th hole will stick in your memory – how you play it will dictate whether those memories are good or bad. It measures a mere 377 yards and is a vicious dogleg left. Your drive should be aimed at the mounds on the dogleg and you then play over thick rough and other assorted unpleasant stuff to an elevated green. P&K, as it is known locally, hugs the South Wales coast and offers stunning views of the Bristol Channel, Gower Peninsula and Welsh mountains. Located in the Kenfig National Nature Reserve, P&K is a fabulous links course that has not been discovered by the wider world. You will love it. The first is a short par four with gorse left and right, played to an elevated green. Big hitters can take the bunkers out of play on this 372-yard hole and be left with nothing more than a flick to the green. The seventh is a picturesque par four measuring 356 yards. It is a slight dogleg, with bunkers and gorse to the right. There are bunkers to the left and right of a two-tiered green, and two further traps at the back. The 10th, at 417 yards, is the hardest hole on the course. A straight hole, the fairway is surrounded by rough, gorse and ditches. A large green slopes from left to right, with the prevailing wind coming from the left. The 13th is a spectacular 374-yard par four played from an elevated tee. It doglegs 90 degrees to a green surrounded by dunes, gorse and rough, with the sea beyond. The 16th, a 465-yard par four, calls for a drive struck to the right of the fairway, which slopes down and then rises to an elevated two-tiered green. The finishing hole runs to 440 yards and is a great par four. The drive is blind and you have to carry gorse and rough to reach the fairway beyond. There is rough and a ditch to the right and the approach is played to a green protected by swales at the front and bunkers left and right. The green is located in front of the clubhouse. Conwy was originally designed by Jack Morris and has undergone many changes. In the mid-1970s Frank Pennink designed new greens on the 4th, 6th and 8th holes, with new tees on the 5th, 7th and 9th holes. And in 1983, Brian Hugget and Neil Coles were asked to redesign five holes on the back nine because of a new tunnel and A55 Expressway. This involved a new 13th hole, increasing the 14th to a par five, while the old par three 14th became the new 15th. The par three 17th was scrapped with the green and part of the old 16th fairway being utilised to create a challenging new par 4 17th. The most difficult hole is the par-four fifth, measuring 442 yards, and usually played into the wind. The line for the drive is the tunnel entrance in the distance, for the second shot avoid the bunkers by taking more club than you think you will need. The ninth is a lovely par five. It measures 523 yards and is usually played downwind. There is a mound 50 yards from a green that slopes from left to right. There is a beautiful view out over the bay when you reach the green. At 376 yards, the final hole seems simple enough but your drive is semi-blind to a narrow fairway that features a ridge. The green is protected by six bunkers. 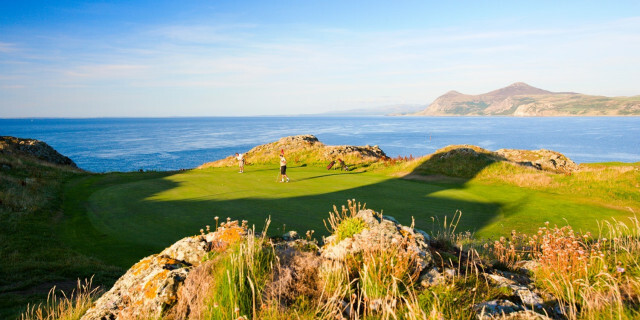 Nefyn features 27 holes but for the purposes of this article we are regarding it as one golf course. The Old Course consists of holes 1-9 (Front), which opens with four holes running parallel with and, a times, very close to the rugged coastline, before moving inland with some testing par fours and a great par three. You then play Holes 10-18 (Old) on Nefyn Point. These holes are built on a narrow peninsula perched above coves on one sides and sandy beaches on the other. The New Course consists of the same front nine followed by Holes 10-18 (New) which follow the natural contours of the headland and coastal inlet, confronting the golfer with some testing par fours, particularly the 15th, a long, sweeping right to left dog-leg with strategically placed bunkers. All the holes enjoy the spectacular backdrop of the Snowdonia range. The 18th hole offers a stunning panoramic view of the entire golf course. The fourth on the Old Course is a cracker. It is a spectacular risk and reward par four, measuring 405 years. If you pull off the 200-yard carry over the bay, you will be left with a short pitch to a green set between two rocky outcrops. The eighth hole on the Old Course is not for the faint-hearted either. A 502-yard par five, the tee sits on the edge of the cliff, with the waves crashing in below. An accurate drive and second are called for down a narrow strip of fairway bounded on the right by the sea and on the left by thick rough. Originally designed by Harry Vardon, the course opened in 1908. A mixture of traditional links and parkland it is a challenging and scenic 18-hole, par 69 course. 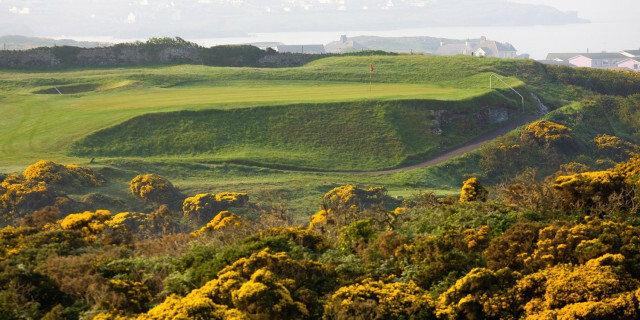 It has been voted one of the best 10 courses in Britain under 6,000 yards. As good as Abersoch is, it is the scenery that will remain with you for the rest of your life. It is something special, with marvellous views of the sea and the surrounding countryside. If you can score well on the second, third, seventh, 11th and 17th, the chances are that you will have a very good card. If not, just enjoy the views from the third, fifth, seventh, 14th and 16th tees and remember what Walter Hagen said about taking time to smell the flowers. The signature hole is the third, a par three measuring 246 yards. It is played from an elevated tee and your tee-shot has to carry gorse and a water hazard to a sloping green with a bunker at the back. With many holes running along the coastline, accuracy from the tee is vital – stop and ask yourself if you really need to hit your driver. The clubhouse always has a couple of guest beers on tap, along with the usual selection of bitter, lager and cider, together with a full choice of wines and spirits as well as soft drinks. 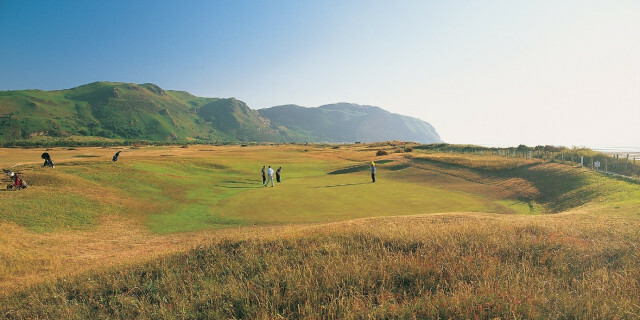 Aberdovey is another traditional links course, with Harry Colt and James Braid involved in its design. 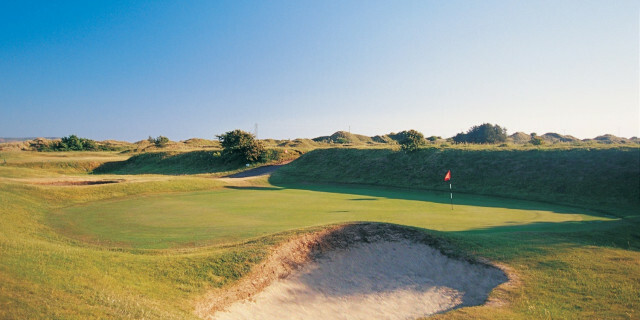 The course is all about tight lies, rolling fairways, undulating approaches, dry-firm surfaces and fast greens cut through and around the surrounding sand dunes that frame the links. Many of the hazards can't be seen from the tees, so don't be too surprised to hit what you think is a perfect drive, only to find it in a bunker. There are plenty of blind shots, wooden railway sleepers in bunkers and even the railway itself, which skirts part of the course. The tides and changing winds ensure that conditions alter on a frequent basis, making club selection vital. You will need every club in the bag. The 173-yard par-three third features a blind tee shot to a punchbowl green. The 15th is 503 yards long and runs along the railway. Despite a generous landing area, a tee shot to the left gives the golfer the best line to the green. The long, narrow, two-tier green is well guarded on both sides by bunkers. There are nine par fours that can play over 400 yards, with relief at the short eighth and 16th, which offer birdie opportunities. The 18th hole is a great finishing par four, measuring 443 yards. Playing right from the tee, close to the rough and bunker, opens up the view into the green. Expect to be hitting a long iron or rescue club approach onto the biggest putting surface on the course. 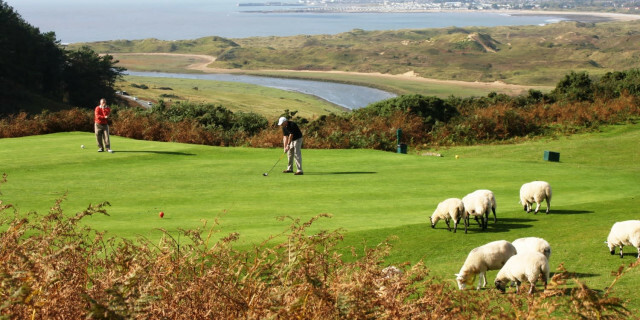 Located on the Isle of Anglesey, Holyhead Golf Club features great views towards the mountains of Snowdonia and is just one mile from Holyhead, the port that is the gateway to Ireland. It is a heathland course and has some of the best greens in Britain. 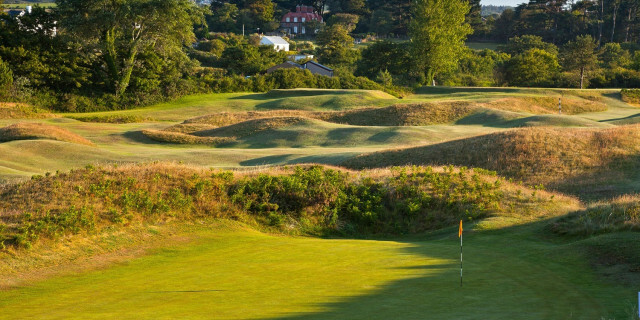 Designed more than 100 years ago by James Braid, the fairways are narrow, and if you miss them you are going to find yourself in thick rough or stuck in gorse bushes. The 10th hole is a terrifying 478 yards that doglegs left to right - you stand on the tee and see no part of the fairway, just a marker post - go off line and your ball will find the gorse. The 15th measures just over 400 yards and looks simple enough, but out of bounds lurks on the left and if you go too far right you will be playing your second from the rough. The 17th is only 343 yards long but you might want to leave the driver in the bag because it's another blind tee shot. The 18th is a cracking 413-yard par four. Once again, there is out of bounds on the left, with gorse and bracken on the right. Your approach is played to a green protected by four bunkers. The course opens with a 465-yards par four that is very much a risk and reward hole where an accurate drive down the left hand side will leave an easier approach. However, bunkers on the dogleg make this shot more challenging with the right hand side the safer line, despite leaving a more difficult angle into the green. Steep swales surround the green. 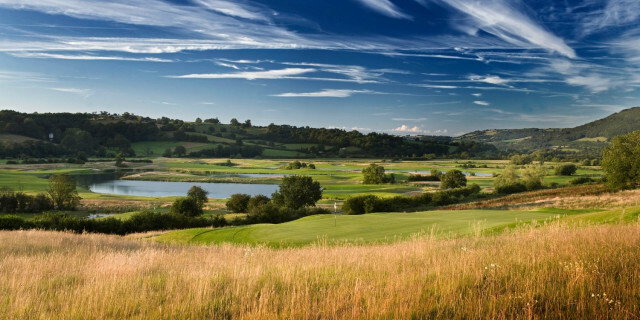 The second is a monstrous par five measuring 610 yards, with the River Usk running alongside a narrow fairway, with bunkers on both sides – more bunkers await the second shot, with another sloping green. And to complete a testing opening three holes, the par-three third requires a 160-yard carry over water. The 12th is a memorable hole. It measures 458 yards and requires both a drive and second shot to be hit over water to small green surrounded by bunkers. The 16th is 499 yards and is a par four. It has a narrow, bunker-lined fairway. Avoid going right, where a bunker or embankment lie in wait. The green slopes from left to right. The closing hole is a great par five, measuring 575 yards. It calls for a draw from the tee to have any chance to reach the target in two. There are fairway bunkers and the green is well-protected by sand.